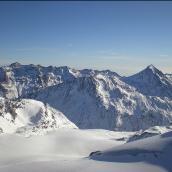 Bookings are handled by Agency Zurbriggen in Saas Fee. Click here for a booking enquiry. Please note: Smoking is not allowed anywhere in the apartment, or on the balcony.